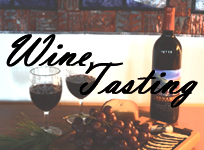 The Friends of MRT will host their third annual Merrimack Repertory Theatre Wine Tasting on Tuesday, March 15, from 6:00 - 8:30 p.m. at the Richard K. & Nancy L. Donahue Center at Bagshaw Mills, 132 Warren Street in Lowell. Proceeds from the event support Merrimack Rep’s mainstage productions and education programs. Local wine and cheese cellar Tutto Bene will select their top wines from a collection of 500 Old World and New World favorites. As the fundraiser is being hosted at MRT's rehearsal and artist housing facilities, guests will have an opportunity to "go backstage” while increasing their knowledge of wine in a casual, social environment. Light hors d’oeuvres will also be served. Tickets are $45 per person and can be purchased online at www.MerrimackRep.org or by calling 978-654-7552. The Friends of MRT is an auxiliary fundraising group that hosts special events, social functions and fund drives. The group plays a pivotal role in strengthening Merrimack Repertory Theatre’s base of support by introducing new people to the theater. Those interested in joining The Friends of MRT may contact Jeff Prescott, Development Associate, at development@merrimackrep.org. or 978-654-7552.